We take feedback from our users very seriously here at the School Yourself offices. This week, we launched version 1.3 of Hands-On Calculus and Hands-On Precalculus, which both have lots of new and commonly-asked-about features. If you've already purchased either of these books, you can grab the updated versions for free from iBooks. Many of our users write to us saying that they wished there were more review questions. We heard you! Version 1.3 now has more than 60% more review questions than our previous version. 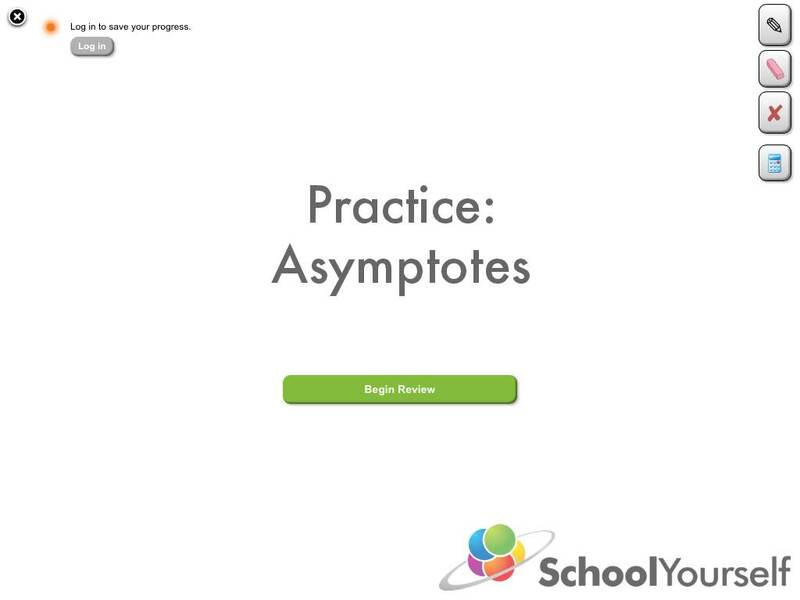 You'll find all of these questions in the new "Practice" widgets at the end of each section of the text. 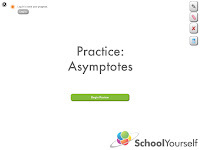 These new practice questions are designed to be a quick review to warm you up for the more difficult challenges in the following widgets. There are several places in our books where you need a calculator. 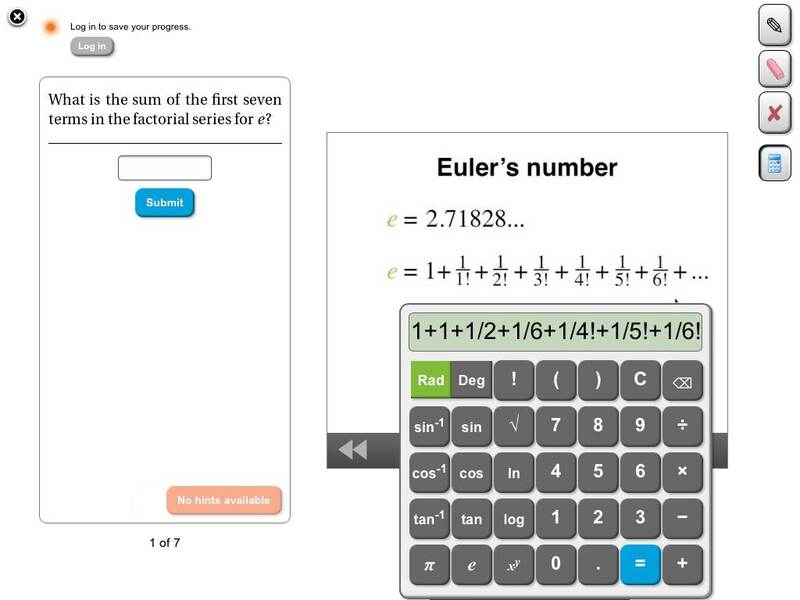 Luckily, all of our tutorials have a built-in calculator that you can bring up with the touch of a button. Unfortunately, the calculator would sometimes cover the part of the screen that you were looking at. 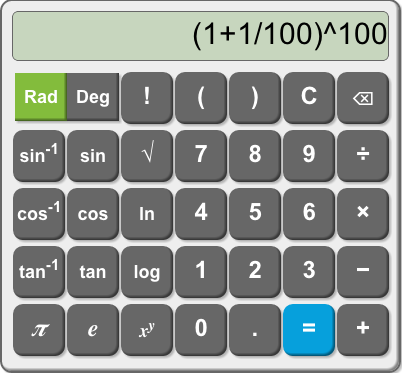 We've introduced a simple fix: you can now move the calculator around the screen by tapping and dragging anywhere on the calculator pad. This should make it much easier to transcribe numbers from the screen onto the calculator. In addition to these improvements, the new version has some tweaked widgets to assist colorblind users, as we wrote about in an earlier post. We've also fixed a few bugs where the screen could sometimes be unresponsive under certain conditions. We really love hearing from our users! If you have any questions, comments, or feedback, drop us a line at info@schoolyourself.org. Our CEO and CTO both refresh their inboxes obsessively and will probably respond before anyone else on the team even knows that you e-mailed us. Fernando is one of the many colorblind individuals who has difficulty distinguishing between red and green objects (there are other kinds of colorblindness, too). Given that the whole point of this interactive is to see where the curve is red and where it's green, a colorblind user would have a hard time understanding what this interactive is supposed to do. While this does indeed give colorblind users the ability to see what we were trying to explain in this interactive, we found that this could lead to confusion in some other areas. While testing this change, we realized that the empty spaces between red dashes could lead some people to believe that they were manipulating a discontinuous function -- and it doesn't help that the section on concavity comes right after the section that talks about continuity in Hands-On Precalculus. You can read more about Fernando's journey through the world of calculus on his blog. 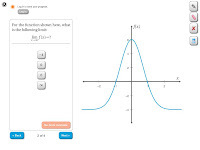 Thanks to his feedback, version 1.3 of Hands-On Precalculus and Hands-On Calculus will have interactives that are more friendly to colorblind users, plus numerous other improvements. The update is scheduled to be released within the next couple of weeks, so stay tuned! School Yourself will be presenting at SXSWedu in March! We have been selected as one of 24 finalists to present at SXSWedu's LAUNCHedu competition. SXSWedu will be in Austin from March 4-7, and the keynote speaker will be... wait for it... Bill Gates! From SXSWedu: "LAUNCHedu is the premiere destination for promising entrepreneurs to showcase their innovative startup education business products and services. With a diverse audience of education stakeholders ranging from classroom teachers and administrators, to powerful investors and policymakers, LAUNCHedu at SXSWedu offers a unique opportunity to connect with education thought leaders and develop what’s next and new in learning." We can't wait to make our pitch -- see you in Austin! 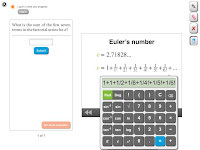 You don't find too many textbooks with built-in calculators (yet!). Well, the calculator in "Hands-On Calculus" just got a makeover (as you can see in the picture below). Now you can enter whole expressions, rather than evaluating them one number or operation at a time. This ought to make those challenge problems a little easier to tackle (but probably not easier to solve!). 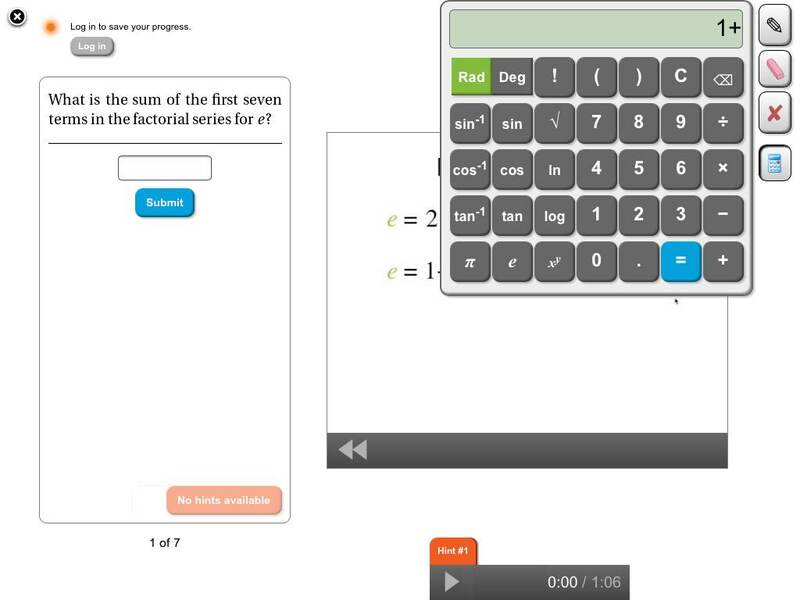 One of the most requested features for "Hands-On Precalculus" was the ability to pause, rewind, and seek the videos. We heard you! Just like in the newer "Hands-On Calculus," our precalculus book now allows you to quickly jump to any point in any of the videos. In addition to these improvements, you can now also log in to our books to keep track of your progress. The updated version of "Hands-On Precalculus," with the new calculator and a cleaner look for the text, will be available later this week. Happy New Year! Over the holidays, our team was still hard at work. 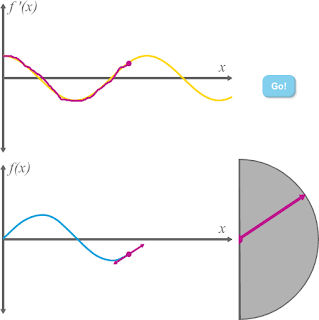 One of the coolest things we've been working on is an antiderivative equivalent for our derivative game DDX. 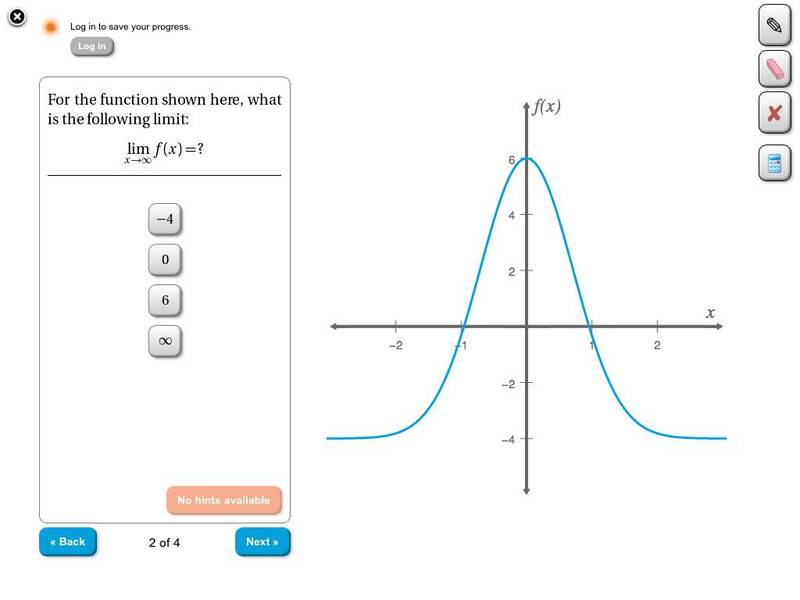 In DDX (found in "Hands-On Calculus"), a student can sketch the derivative of a random function with their finger. 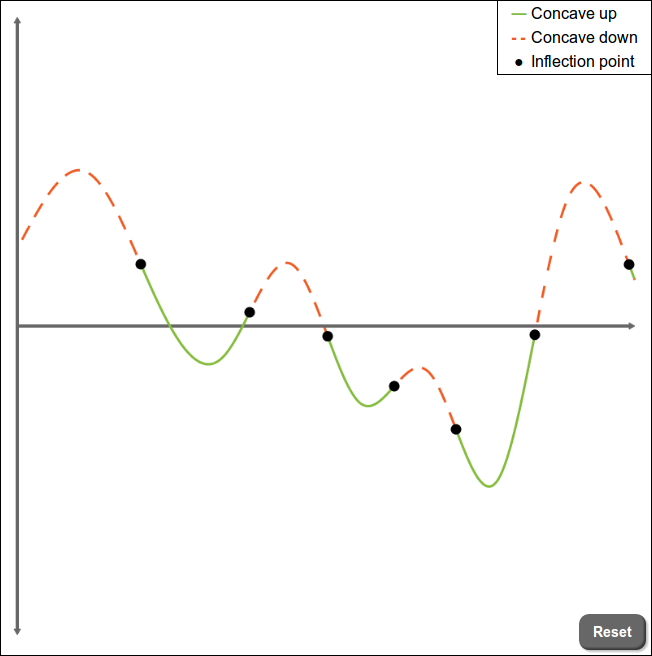 In this latest game, which we're tentatively calling "Anti-DDX", students now draw antiderivatives of random functions. 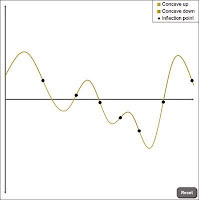 It looks like sin(x) is a possible antiderivative of cos(x). Anti-DDX will ship with Part 2 of "Hands-On Calculus", due out in early 2013!